In choosing projects, I'm guided by my mission: to connect people to nature and each other, inspiring collective creativity and environmental action. Priority is given to work that has high impact and advances equity and inclusion in nature connection. I am most interested in work that involves training others, consulting with people and groups that will have powerful impacts, helping to establish permanent spaces or programs for creating with nature, and events that will have lasting influence. When I work with others, I strive for honest and clear two-way communication. I start with coming to agreement about project aims and our interpersonal working methods. I like to develop clear project plans, and build flexibility into those plans. I love to work as part of a group, valuing the perspectives and skills of everyone I work with. I'm prompt with emails, texts, and phone calls, and I'm punctual with meetings and other commitments. I only do work that I'm enthusiastic about, and I bring my full energy to bear on every project. My fees are $35/hour for time spent working alone (planning, preparing presentations, transportation, etc.) and $100/hour for time spent with others (consulting, training, leading, meeting, etc.). I can sometimes reduce fees or work pro bono for high priority work. Fees for overnight work and long-distance travel are negotiated. 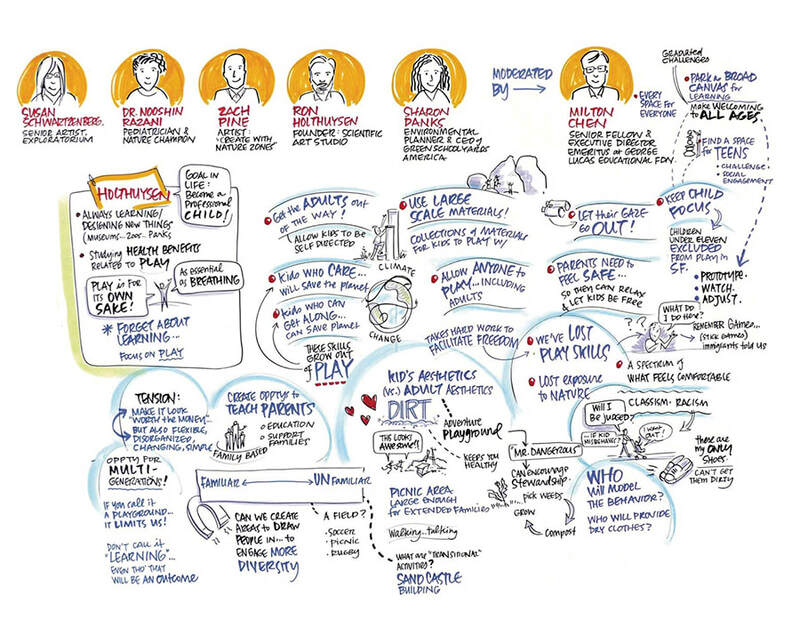 Graphic notes from a consultant panel hosted in 2016 by the Golden Gate National Parks Conservancy and National Park Service for the Learning Landscape in the Presidio Tunnel Tops project. (Graphic note credit: Emily Shepard). 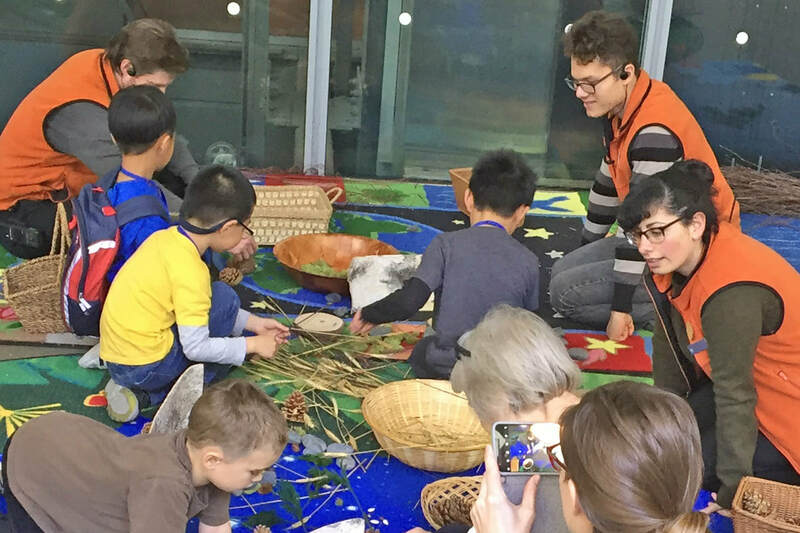 Educators at the California Academy of Sciences working with the public as part of a hands-on training I gave on making and facilitating Create-with-Nature activities. 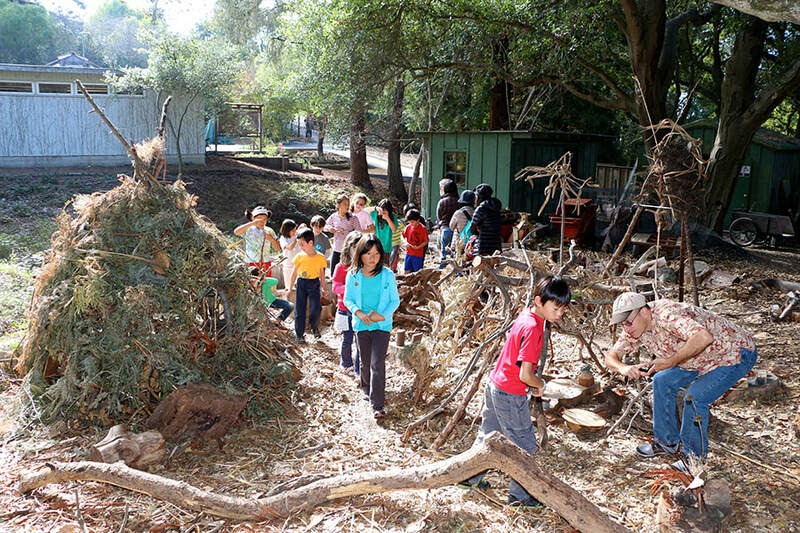 A school group in the Create-with-Nature Zone at the University of California Blake Garden. 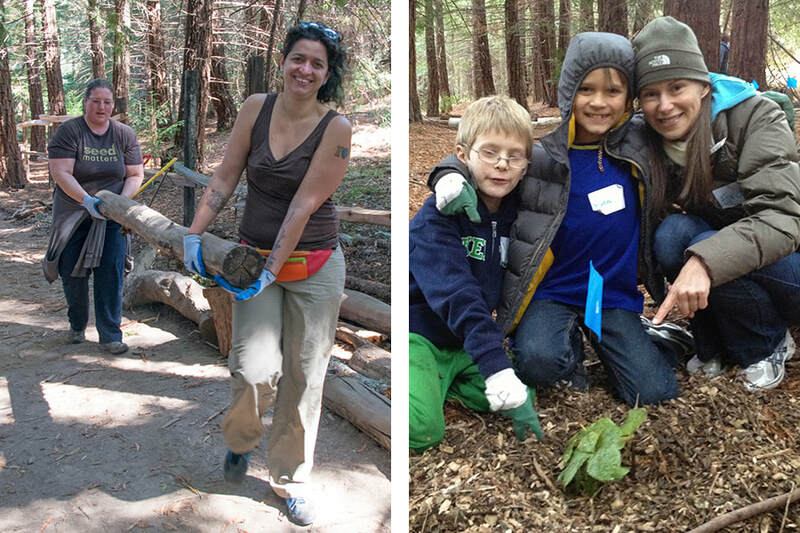 Participants helping build the pathway and planting native plants at the Redwood Regional Park Create-with-Nature Pathway. 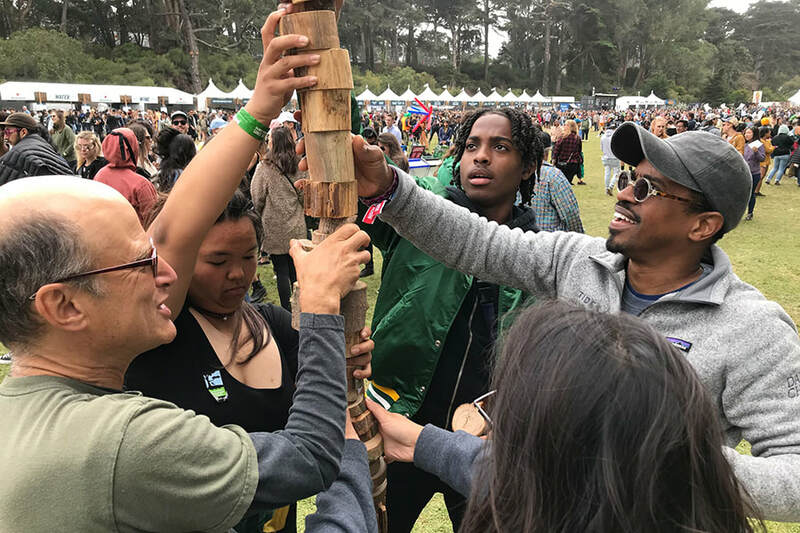 Collaborative tower building at a Public Create-with-Nature outreach event at Outside Lands Festival with San Francisco Children & Nature. 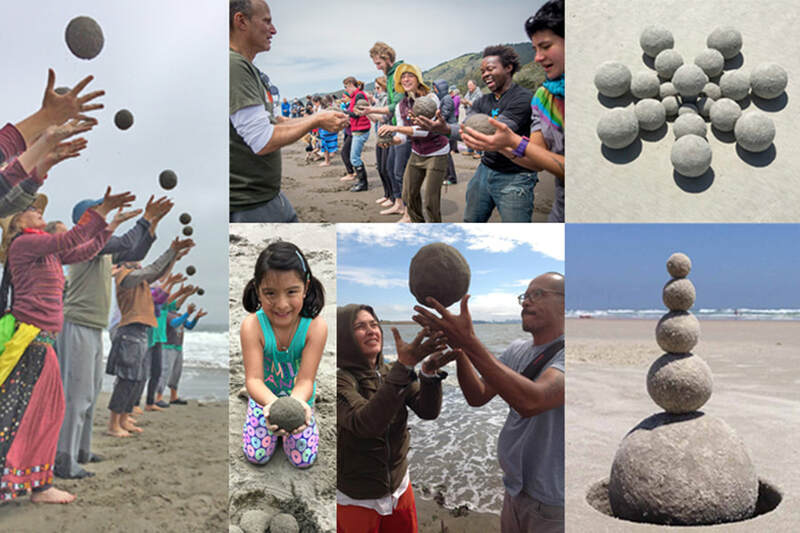 Public balanced rock sculpture event at Crissy Field in San Francisco. Making sand globes is a wonderful way to connect with each other and with the earth. Learn more about sand globes at the Sand Globes Worldwide website.